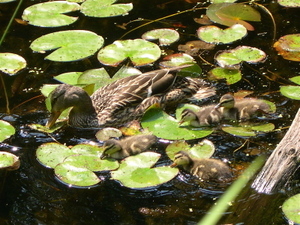 Turning Toward the Light: Baby ducks! We also need to conserve water in South Africa. I read about the xeriscape gardening which is water saving gardening with endemic plants. Beautiful your photos it is all new to me, I really enjoyed them. If you have time take a look at our wild flowers. We did some aloe excursions on the blog but the lilies and oxalis in my website is prettier. It is nice to know that people are starting to appreciate the wild flowers. Don't you agree? what kinda ducks are these? 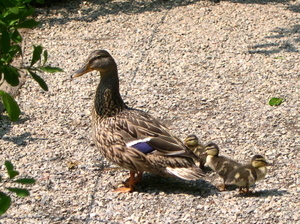 I'm pretty sure they're mallards.